Best Press makes ironing easier and fabrics look like new again. Plus, there’s no flaking, clogging, or white residue on dark fabrics! A special stain shield protects fabrics, and the product helps resist and relax stubborn wrinkles. Best of all, it’s more effective than any starch you’ve ever used. 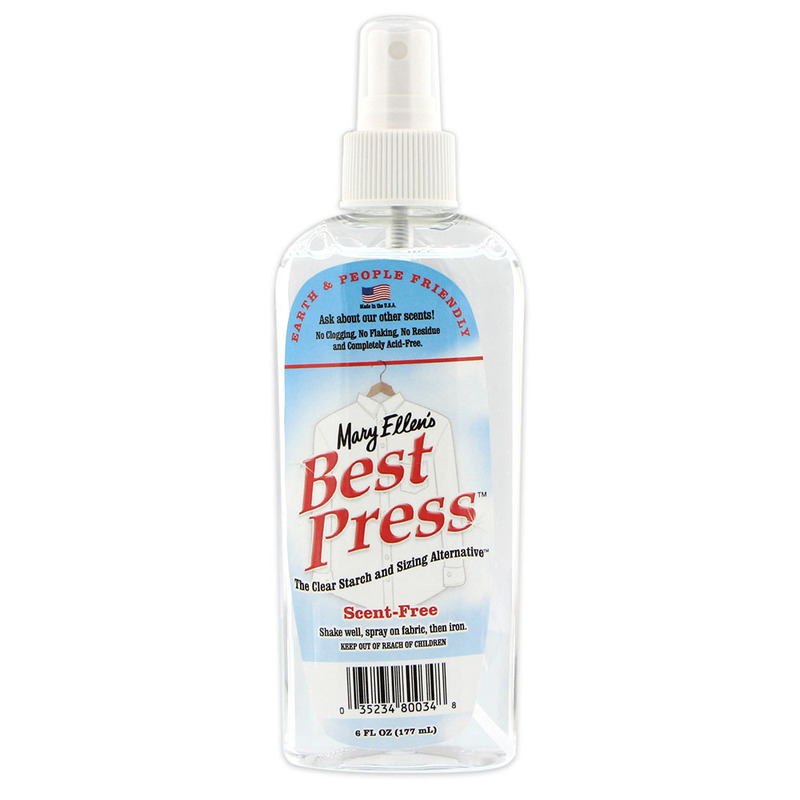 Try Best Press today – you will never go back to ironing with spray starch!